Law Commission of India has submitted it’s 266th report titled ‘The Advocates Act, 1961 (Regulation of Legal Profession)’ suggesting drastic changes in the Advocates Act 1961 to the Law, to the Government. Supreme Court in Mahipal Singh Rana vs. State of Uttar Pradesh (July,2016), had observed that there is an urgent need to review the provisions of the Advocates Act dealing with regulatory mechanism for the legal profession. Three Judge Bench comprising of Justices Anil R. Dave, Kurian Joseph and Adarsh Kumar Goel had requested the Law commission and Government of India to take appropriate steps in this regard. Law Commission in the report, emphasized the need of reviewing Regulatory Mechanism and Regulatory bodies etc., and recommended comprehensive amendments in the Advocates Act. The Commission also submitted a draft of Advocate (Amendment) Bill, 2017. The Commission observed that unless there are compelling circumstances and the approval for a symbolic strike of one day is obtained from the Bar Council concerned, the advocates shall not resort to strike or abstention from the court work. A suggestion has been made that at every district headquarters, the District Judge may constitute an Advocates’ Grievance Redressal Committee headed by a Judicial Officer which will deal with the day to day routine matters, as large number of issues and grievances arise in the smooth working of the advocates. In this regard, the High Court may issue a circular in exercise of its power under article 235 of the Constitution providing for redressal of grievances of the Advocates which will help in improving their efficiency. In case there is some grievance against a Judicial Officer, the Bar may raise the grievance before the Chief Justice of the concerned High Court. The Law Commission is of the view that wiping out the bar after enrolment, in case of conviction of an advocate after two years in the nature of cases mentioned in section 24A, does not render the person in any way desirable to plead on behalf of a person seeking redressal of his grievance through the justice delivery system. The legal profession, as such, has been placed on a very high pedestal acknowledging advocates’ legal status and authority to plead on behalf of a person in court of law. Similarly, there can be hardly any justification for wiping out such disqualification, which is otherwise applicable for enrolment, after the enrolment is made. Having regard to the broader objective of the provision, the said bar should certainly operate post enrolment. The Commission recommended the substitution of section 24A and 26A with new provisions to take care of the objectives of undesirability of a convicted person being allowed to perform important public functions. The Commission observed that lawyers were practicing either with the fake law degree or without any degree at all. The process of verification is not yet complete and the so-called bogus lawyers could be identified only by scrutiny. Apprehension has been raised that the alleged bogus lawyers could have succeeded in making entry in the judiciary, government services and some of them could have been appointed as Government pleaders, Law Officers, etc. Such persons might have succeeded in mission by impersonation and entering into criminal conspiracy. Thus legal advice offered by such persons could affect the deliverance and quality of justice and their mere existence in legal system would definitely erode the public trust. 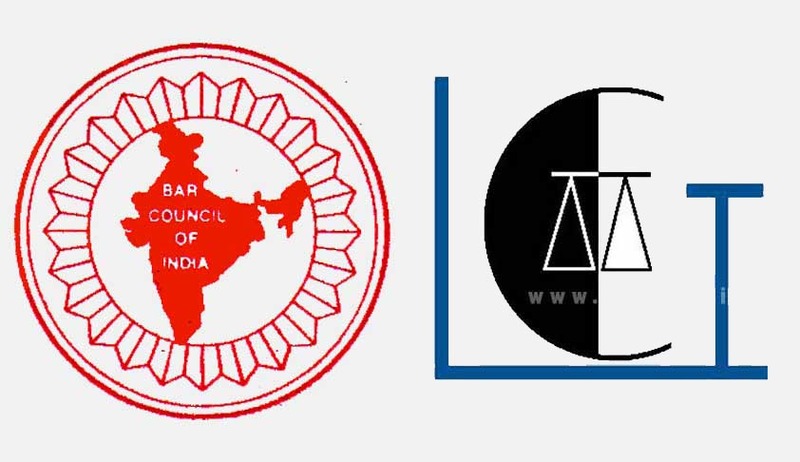 Law Commission recommends a specific rule making power for Bar Council of India to make rules for verification of certificates of Advocates and for periodical verification of antecedents, conduct, place of practice of Advocates; and to make a data based web-portal of all the advocates. The Commission observed that the law colleges require transformation in infrastructure and resources. Library facilities in our law colleges need to be upgraded, for which resources have to be mobilised. The Commission observed that this is another problem that requires to be highlighted is that without undergoing any training or facing subordinate courts, fresh graduates start appearing before the superior courts. Counsel engaged by litigants do not appear in the court, rather send raw hands to deal with the matters. The Law Commission recommended a specific clause in section 7(1) of the Advocates Act to provide for the rule making power of the Bar Council of India for pre-enrolment training and apprenticeship before the induction of a person as an advocate. According to the Commission if the foreign law firms are not allowed to take part in negotiations, settling up documents and arbitrations in India, it may have a counter-productive effect on the policy of the government to make India a hub of International Arbitration. In this regard, it may be stated that many arbitrations with Indian Judges and Lawyers as Arbitrators are held outside India, where both foreign and Indian Law Firms advise their clients. If foreign law firms are denied entry to deal with arbitrations in India, then India may lose many of the arbitrations to Singapore, Paris and London. It may be contrary to the declared policy of the government and against the national interest. The Law Commission considers it necessary to have enabling provisions in the Advocates Act which will enable the Bar Council of India to frame rules to recognise and register foreign law firms and lawyers in India, as and when a decision is taken in this regard, particularly in view of the reciprocity provisions. The Commission said that neither the Advocates Act nor the Bar Council of India Rules, defines professional misconduct. The Commission considered this aspect and provided the definition of “Professional Misconduct” in the Amendment Bill recommended by it. According to the Commission, there is a dire necessity of reviewing the regulatory mechanism of the Advocates Act, not only in matters of discipline and misconduct of the advocates, but in other areas as well, keeping in view the wide expanse of the legal profession being involved in almost all areas of life. “The very constitution of the Bar Councils and their functions also require the introduction of a few provisions in order to consolidate the function of the bar councils in its internal matters as well. The globalization of the legal profession has brought forth the issues of the participation of foreign lawyers and foreign law firms in Indian legal system”. The Commission recommended that comprehensive amendment should be brought forth in the Advocates Act, not only keeping in view the present requirements, but such other requirements that may arise in future for the better management and regulation of the legal profession. Read the Advocates Amendment Bill, 2017 here.